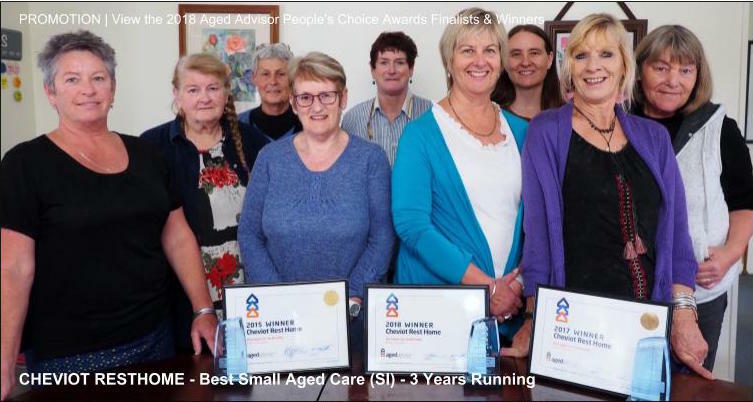 # 129 of 669 Aged Cares in New Zealand. 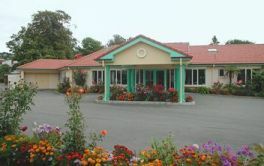 This facility is owned by Dementia Care NZ. 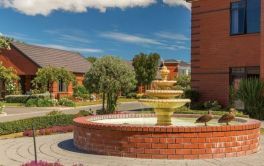 The website for Avonlea Rest Home Dementia Care (located in Addington, Christchurch) states that: "We welcome new residents and enjoy getting to know them. People are encouraged to continue with familiar roles and remain involved in the running of their home." 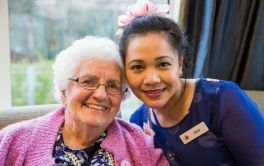 It continues to say that: "Our residents enjoy a wide range of activities, outings and community involvement. Family become part of the community we have and we encourage their continuing involvement in their loved ones' lives. We have several programmes available for family support." The services that Avonlea Dementia Care include: "Residential capacity for caring for 64 people. This is achieved by the division of the facility into 6 separate homes. All of the homes differ slightly in design, which gives the feeling of entering a different environment with a unique character. Each one has an open plan kitchen/dining room/lounge area. This is in keeping with New Zealand house design and replicates the interior of many homes." It also says that: "Residents are able to access the kitchen area, and residents are able to take part in homely activities such as sweeping the floor, wiping down the benchtop or drying the dishes. Diversional therapists often conduct cooking activities with residents in these kitchen areas, and the smell of fresh baking often greets visitors on arrival." × Have you visited this facility? Help others who are looking for a place by posting a review on Avonlea Dementia Care or review a different facility now. Thanks for making this an extension of our family homes. On entry to the facility we were very unsure as to where we should go. We walked to a lounge area where we found a staff member who went and got the person we needed to show us around. On initial visit the home looked sunny and the gardens were well cared for. There was poster stating the philosophy of the home which focused on respect of the residents. [Parts of the home] smelt distinctly of urine. On asking questions about the home we were quite concerned about the information we were given in regards to the use of restraints. Do you use restraints? - Yes we might tie someones hand or arm to a chair if they were trying to smear [their face] or put their hands in their pants. We might also tie their waste to a chair if they were restless. We always check on them every 15 minutes. This caused us a great deal of concern. We did appreciate the staff persons honesty. She answered all of our questions. This was a one off visit to assess if this might be a suitable home for our family member. We will not be considering Avonlea. This review has been fully vetted and deemed to be the honest opinion of a genuine reviewer. Avonlea Dementia Care Ltd ("Avonlea") strongly objects to the contents of this review and believes it is based on false facts.. The allegations relating to restraint are of particular concern to us. Restraining people in the manner alleged would constitute physical abuse and would not take place in our organisation. We note that the reviewer did not actually see any of the conduct reported in the review. This is because it does not occur. We also deny that any of our staff members would make such comments, which we find disrespectful, undignified and offensive. Avonlea are of the opinion that if a conversation did take place about restraint during the viewing of the facility, any comments made by its staff have been misinterpreted and taken out of context. However, unfortunately Avonlea has not been able to verify that a conversation took place, and if so which staff member was involved, as it has not been provided with the details surrounding the alleged discussion, despite several requests. Avonlea has 4 years Audit Certification, evidence of the very robust measures in place, including consumer and family feedback mechanisms. These are responsive and form the basis for service improvement. Internal and external audits are undertaken for a controlled, consistent review of all aspects of Avonlea's service delivery, governance, business, finance and quality, cultural and consumer responsiveness. We are deeply disappointed that this review has been published and invite the reviewer to contact us directly to clarify the issues raised. Aging people and people with dementia sometimes lose the capacity to interpret the signals that indicate a need to use the toilet. Sometimes this can lead to a resident inappropriately toileting. 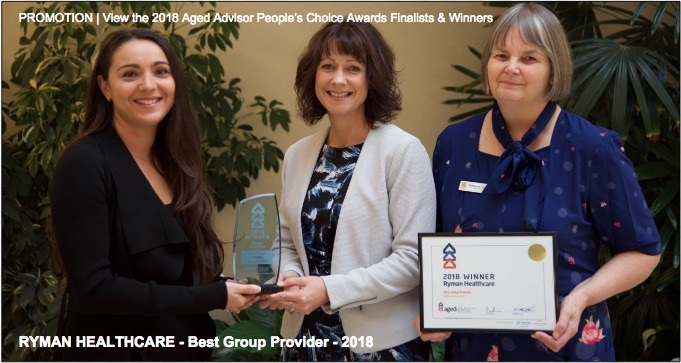 Avonlea follows a regular schedule for supporting residents to self-toilet where possible, and manages incidents where inappropriate toileting occurs in a respectful, timely manner, as well as following a regular cleaning and deodorising regime for the facility as a whole. Avonlea has robust strategies in place to minimise the use of any form of restraint. Strict assessment guides are adhered to before any resident is placed in restraint. Our Restraint Minimisation and Safe Practice policy and practices are routinely reviewed by auditing agencies acting on behalf of the Health and Disability services. Open and honest communication occurs with all families with regard to the progression of dementia and the implication this has on the use of restraint. Consent for restraint is obtained after discussion with the family, the GP and the registered nurse. All episodes of restraint are a maximum of 2 hours in duration and are closely monitored and well documented. Residents are at all times treated with respect and dignity while in restraint. Residents' hands or arms are never tied for any reason whatsoever. Restraint is most often used in the case of residents who have been assessed as being at a high risk of falling, who may at times be restrained to prevent falls and potential injury. My mother was only there briefly but the staff were lovely. Unfortunately the room had a high surcharge as it was supposedly superior. We did not agree. Hopefully the facility is now more pleasant.